a seed that travels in rivers and oceans to find a perfect home. A few years ago when I was in Mexico for vacation, I found a heart shaped object on the beach and I had no idea what it was, maybe a wired sea creature or a shell? heart shaped object in it! WOW! It was a seed! A big and cute one! 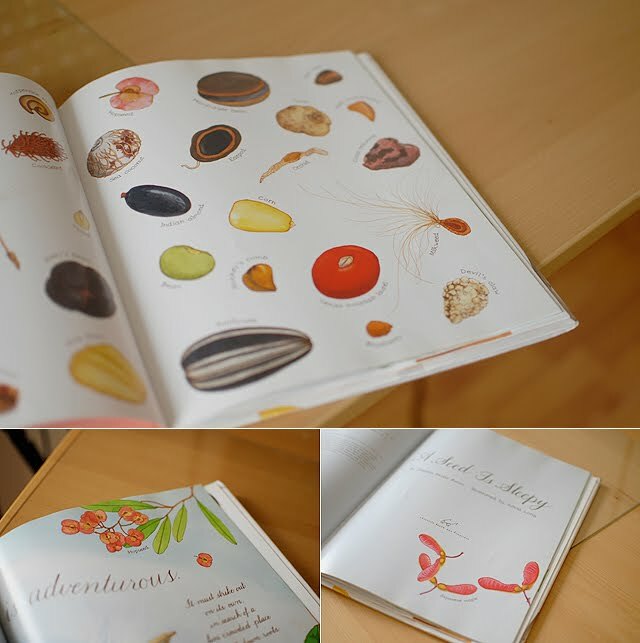 and looking at the gorgeous illustrations. Hope you have a wonderful Monday friends! Ah! You narrate the story of a seed like I've been in a trip to Mexico! 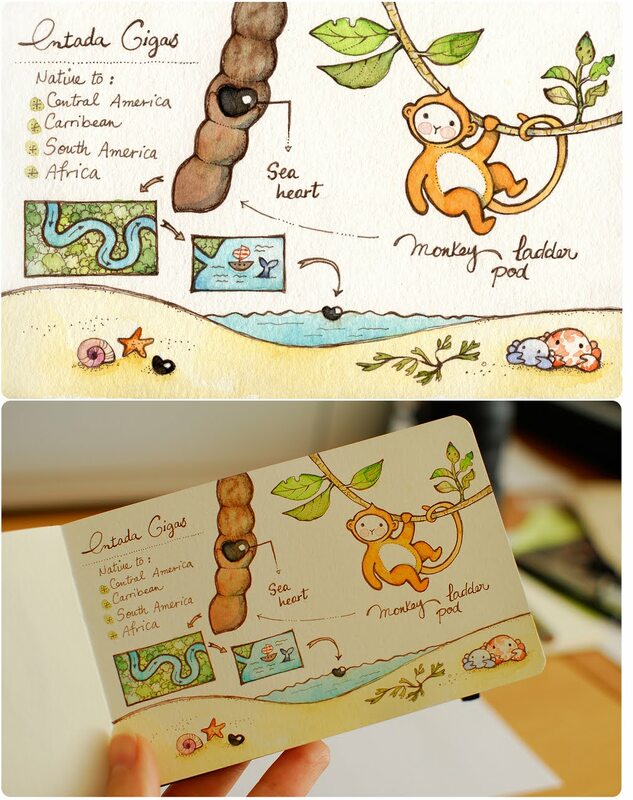 I love your illustration, the sea, the monkey .. You treat the seed as a character :D Beautiful! and well done! 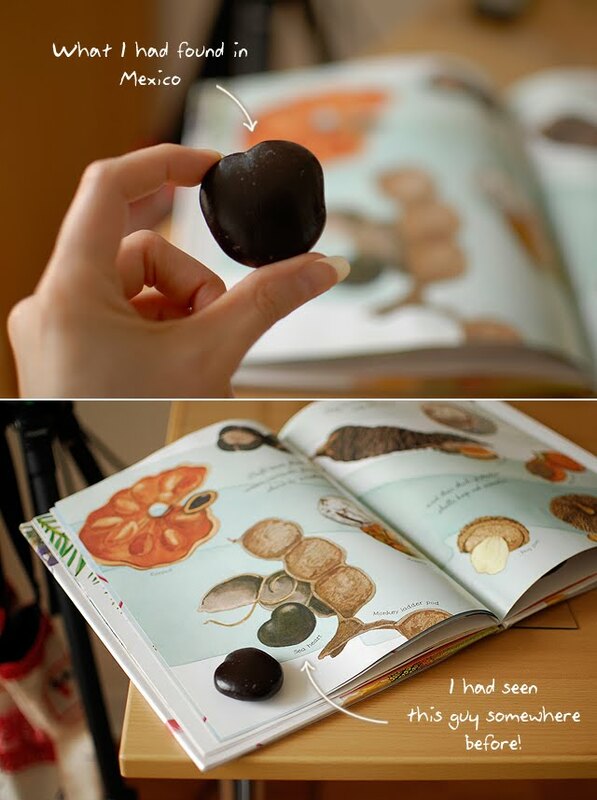 loved this post, such pretty nature illustrations! I like so much you story in pictures!! OMG, how do you make everything look so cuuuuuuuuuuuuuuuuute. I should have known how much you'd like that book...your work is equally exquisite and wonderful! So glad you found it as enjoyable as I did. Her book about eggs is just as fabulous, and the butterfly one just came out! I found one of those pods on the beach while vacationing in Costa Rica. It's been 7 years, but it's still on my desk...such a beautiful thing. Love, love, love your sketchbook story about it.